A few weeks ago I wrote a blog about Silas Lillard. He is a brother to the above named John Lillard. The brothers were born in Boyle County, Kentucky, sons of Barnett Lillard and Elizabeth Dicken. When grown, the men moved to Breckinridge County and lived near the town of Cloverport. In the 1900 Census of Breckinridge County John was 57, Eliza was 54, daughter Anna was 16, and brother Silas was 67. At some point the family moved to Cloverport Road in Hancock County (Cloverport is on the border between the two counties.). 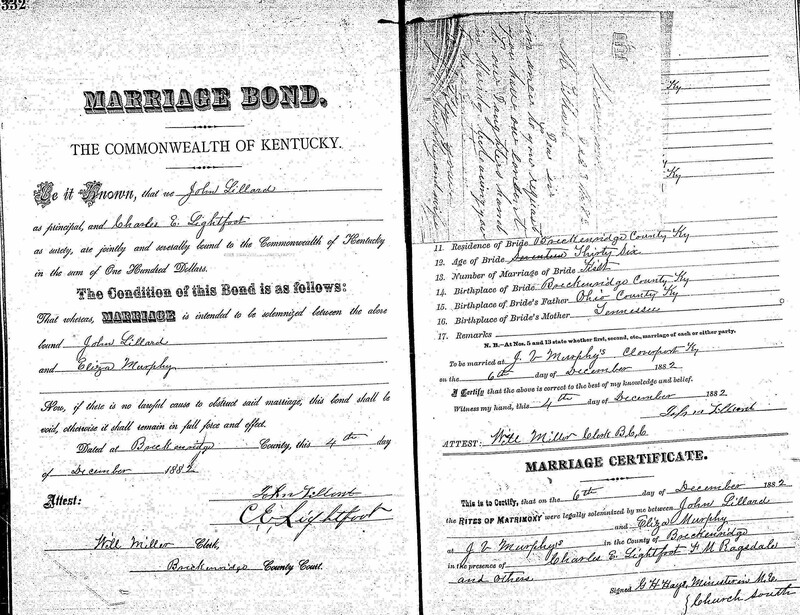 John Lillard and Eliza Murphy married in Breckinridge County the 6th of December 1882, at J. V. Murphy’s – most likely the father of the bride. The witnesses were Charles E. Lightfoot and F. M. Ragsdale. The groom was 40 and the bride’s age was given as 36, but according to her birth date she would have been 38. Since it was a later in life marriage the couple had one daughter, Anna, born in 1884. John and brother Silas were prominent farmers in the area, and were well-liked in their community. 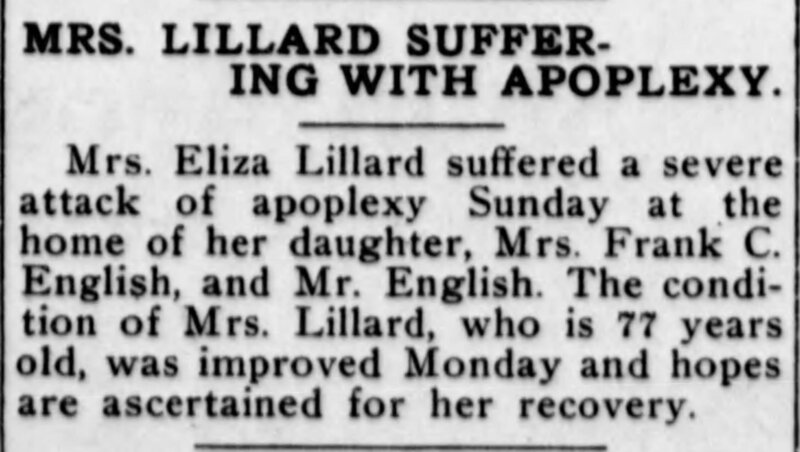 John Lillard’s stroke was very serious, although he lived another six years. 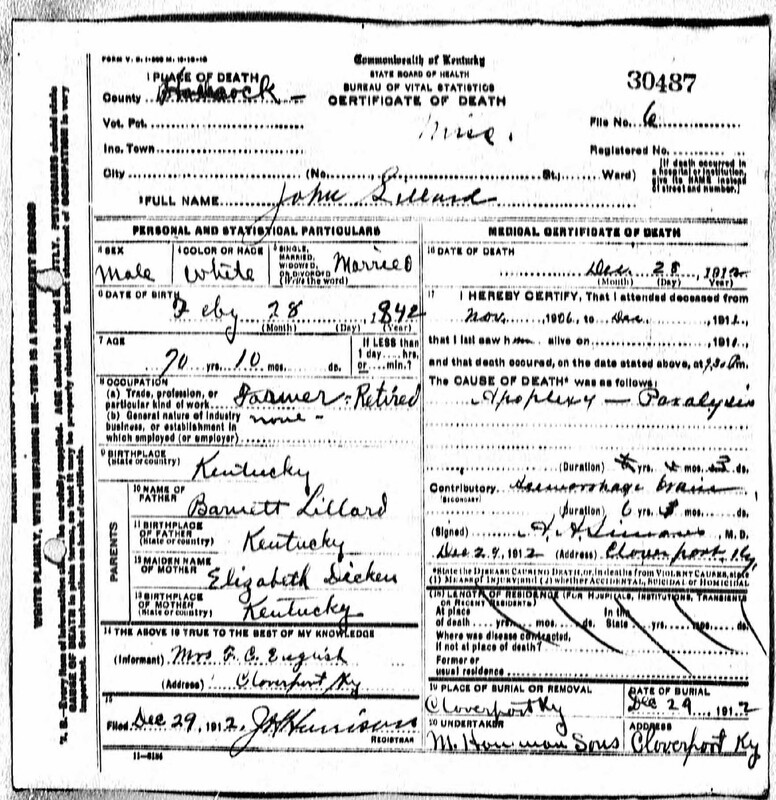 From his death certificate we learn the name of John Lillard’s parents. 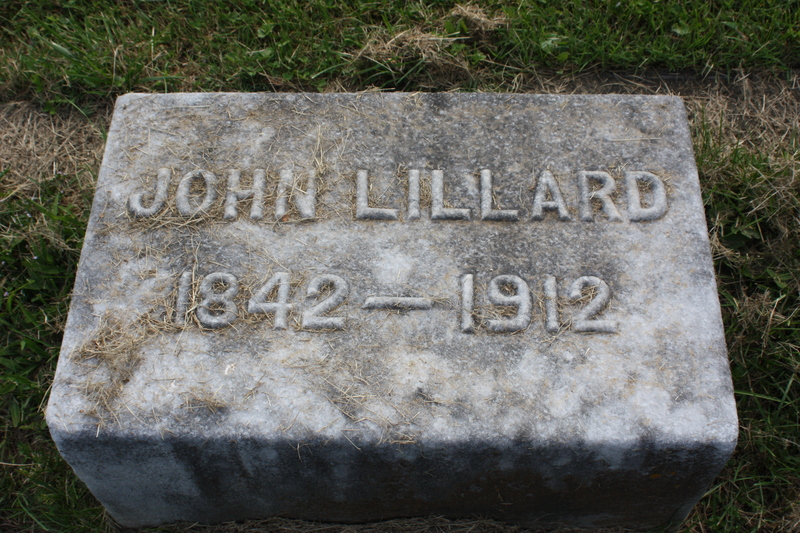 John Lillard, 1842-1912. Cloverport Cemetery, Breckinridge County, Kentucky. 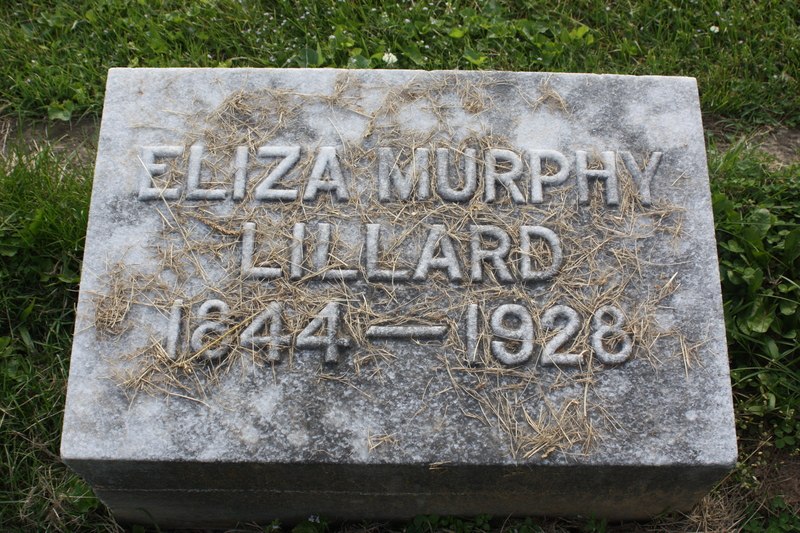 Surprisingly, Eliza Murphy Lillard also suffered a stroke, just like her husband, and she lived another seven years. Anna Lillard married Frank C. English.